Business description - Vera Synthetic is engaged in manufacturing of Fishing Nets, PP Yarns, PP/HDPE Ropes, PP Twines and Niwar. 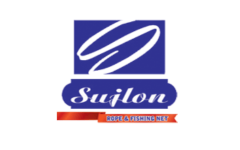 The company manufactures and markets its products under our flagship brand “Sujlon”. Its products are primarily used in fishing sector and other allied use thereon. The company’s manufacturing facility is divided into two units namely Division I and Division II (both situated in the same premises at Mamsa, Gujarat). The manufacturing unit is well equipped with required facilities and machineries to facilitate smooth manufacturing process. It also has in-house testing machines to test products. At present, the company caters majorly to domestic markets. Currently, it sells its products either directly to traders/fishermen or through its distribution network in Gujarat, Maharashtra, Kerala, Karnataka, Andhra Pradesh, Punjab, Tamil Nadu, Haryana, Uttar Pradesh, Delhi, Rajasthan, etc. The company has recently ventured into export markets. Vera Synthetic IPO allotment status is now available on Link Intime's website. Click on this link to get allotment status.